When Max and Sandra Porter moved down to North Carolina, they thought they were getting a new beginning - good job, good pay, and a lovely little place in Winston-Salem. But the family that hired him to research land deals in North Carolina is not all that they seem. 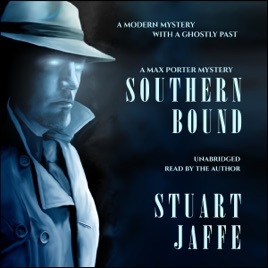 And when Max discovers that his office is haunted by Marshall Drummond, PI - a ghost from the 1940s - what started as a simple research job sinks him neck-deep in a world of old mysteries and dangerous enemies. One in which ghosts, witches, curses, and spells exist. One in which something as innocent as a book can turn deadly. Real North Carolina history mixes with fantasy magic in this pulse-pounding, paranormal-mystery series.